Authorities question Sheldon Adelson for a second time in corruption case against PM Netanyahu. American Jewish billionaire philanthropist Sheldon Adelson was questioned by police for a second time in a corruption investigation of Prime Minister Binyamin Netanyahu. Adelson met on Monday with investigators from the Israel Police serious crime investigative unit. His wife Miriam also was scheduled to meet with investigators. The couple on Sunday night attended a Birthright Israel event marking the project’s 600,000th participant milestone. Adelson, a casino magnate, is the owner of the Hebrew-language newspaper Israel Hayom, which is distributed for free. Part of the investigation includes accusations that Netanyahu and Arnon Mozes, publisher of the left-wing daily Yediot Aharanot, discussed a deal in which Netanyahu would receive favorable coverage in Yediot in exchange for legislation that would cut into the circulation of Adelson’s paper. 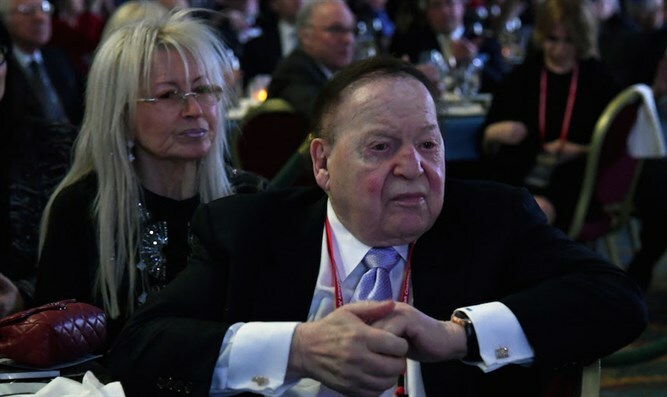 Miriam Adelson reportedly deals with the couple’s Israeli affairs, including the newspaper. The couple is considered to be close friends of the Netanyahus.